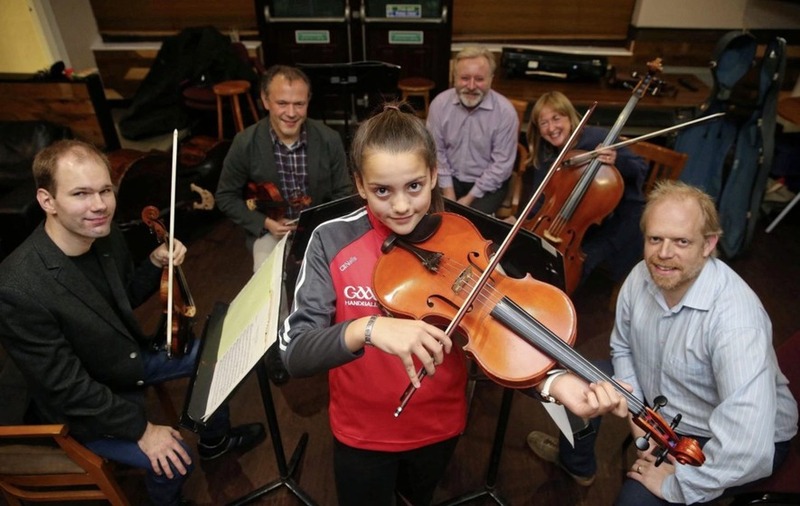 The Ulster Orchestra is teaming up with Belfast-based GAA club St Pauls GAC / Naomh Pól CLG, in a unique programme that will see lessons on leadership, performance and team dynamics, exchanged between the concert hall and the football pitch. The club and orchestra have partnered with leading Sport for Change charity, Sported, to launch Playing in Harmony. The pilot programme will use the mediums of sport and music to enhance the life chances, skills and physical and mental well-being of young people, whilst supporting the growth of community-based sport groups. Playing in Harmony will see the coaches and young players from St. Paul’s GAC take part in a series of skills-exchange sessions and reciprocal visits with the Ulster Orchestra, focused on sharing knowledge and experiences of striving for excellence as part of a team. The programme will culminate in Ulster Orchestra and players from St. Paul’s GAC co-creating an original score for the club. Led by Jonathan Simmance – the Orchestra’s Animateur – young players from the club will take part in special workshops which will explore the feelings and emotions they associate with playing the sport. The themes and content of which will be translated by members of the orchestra into a musical composition that mimics the ebbs and flow of the game. The final piece of music will be unveiled to players and supporters in early 2019. Explaining the origins of the programme Brenda Kelly, Northern Ireland National Manager at Sported, said: “On the surface it may seem that a symphony orchestra and a GAA club have very little in common. But when both groups are playing in harmony, movement is fluid, players are synchronised and the performance of the team is greater than the sum of its parts.